Place chicken in a baking pan and sprinkle with the lemon pepper. Bake at 350 degrees until done, about 15 minutes. Let cool, then dice into ½ inch pieces. 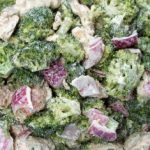 Blanch broccoli in boiling water for 1 minute. Immediately immerse into ice water. Drain well. In a mixing bowl, combine the mayonnaise, sour cream, lemon juice, and spices. 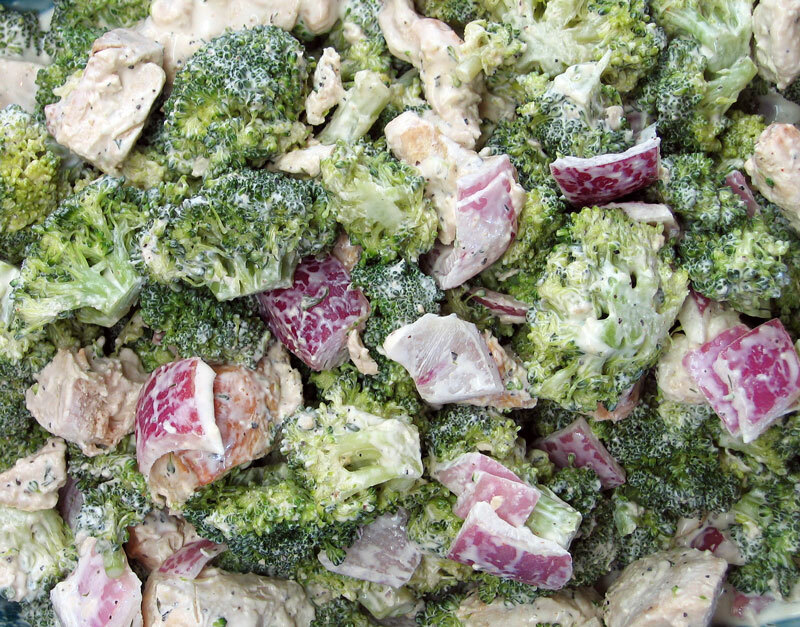 Place the chicken, broccoli, onions, and dressing mixture in a large bowl and mix gently until all ingredients are coated. Thank you for sharing this –it is wonderful!